FIRST ROUND OF REVISIONS ON BAD APPLE COMPLETE! The first round of revisions on my forthcoming horror novel, Bad Apple, is complete! 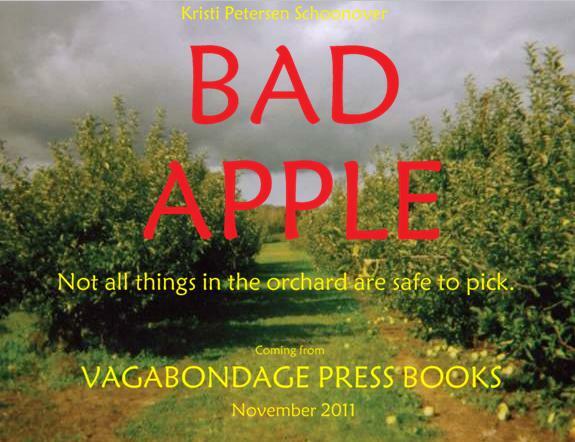 Bad Apple is coming from Vagabondage Press Books this November. Want to know more and read some advance praise? Visit my temporary Bad Apple page, which will eventually have a link to the publisher and the book cover and all of that. Enjoy! Posted on August 9, 2011, in Bad Apple, News and tagged apple picking, Shirley Jackson horror stories, Vagabondage Press Books. Bookmark the permalink. 2 Comments.